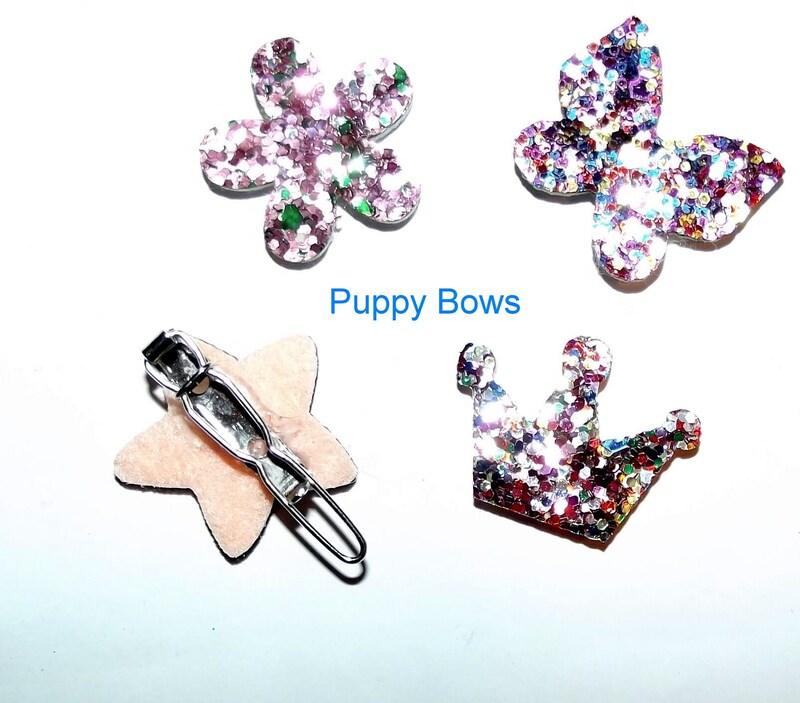 Set of 6 glitter bows. Glitter will not come off on hands. Measure just at 1" with barrette attachment on each one. 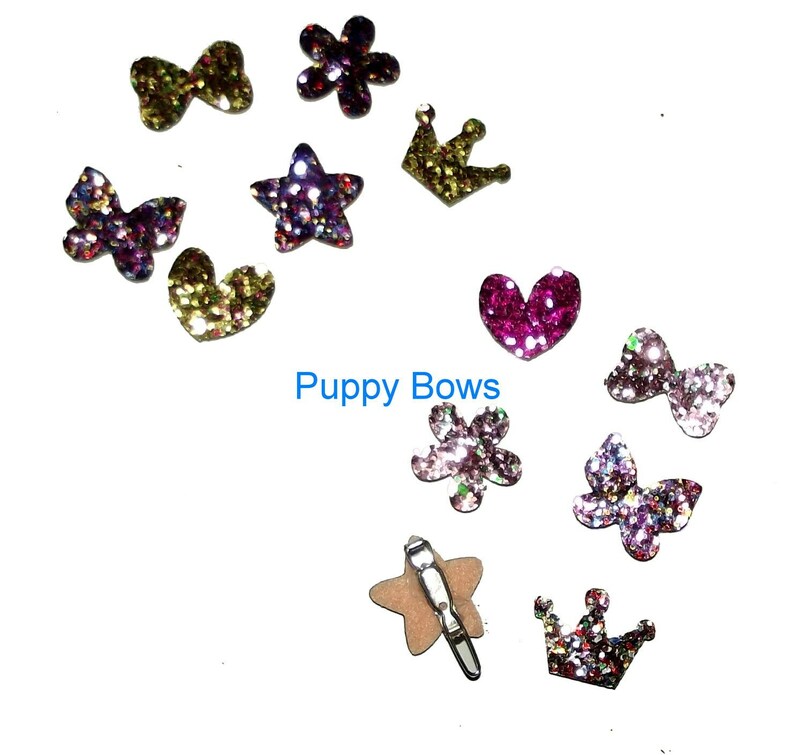 Choose a girl's set (mostly pink/purple) or boy's set (mostly gold and multi) These are so shiny it is very hard to get a picture from the flash. Please note you will not receive 6 crowns. 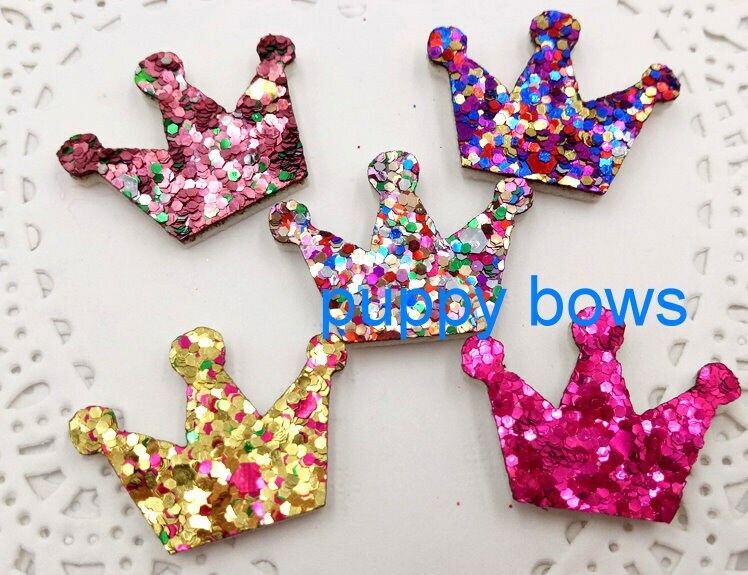 You will receive 1 flower, 1 butterfly, 1 crown, 1 bowknot, 1 heart, 1 star of assorted colors.